Lot Detail - Baltimore Colts Football Plaque with Topps cards Neat! 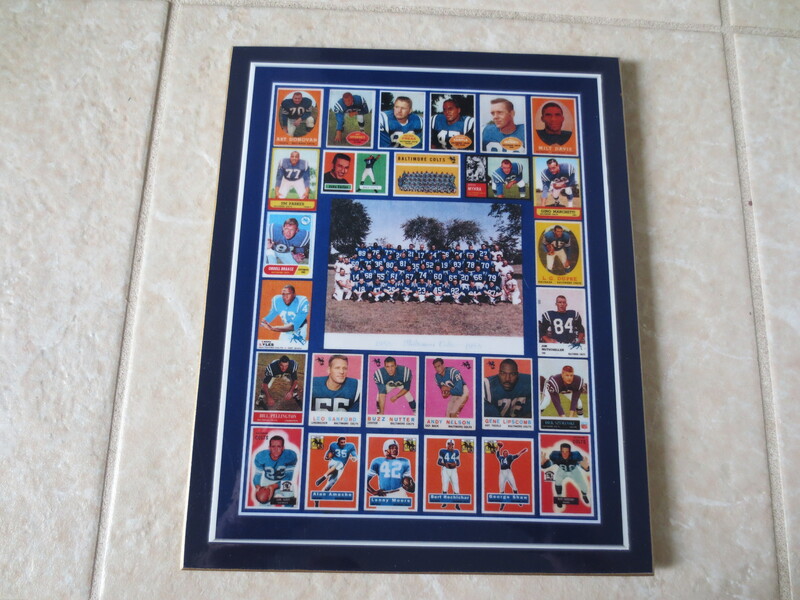 Baltimore Colts Football Plaque with Topps cards Neat! What we have here is a plaque that pictures old Topps football cards of the Baltimore Colts. Measures 10" x 8". Neat!